As a turn-key system provider, we can design, manufacture and install complete bulk handling systems. 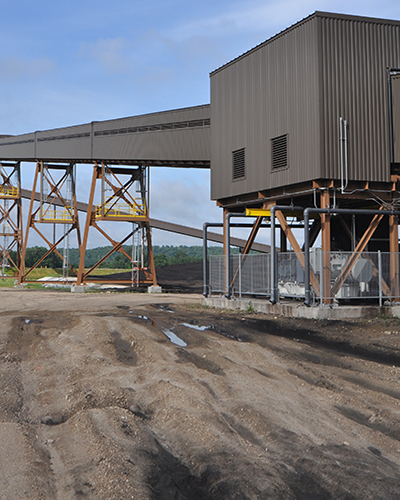 In addition to conveyor components, ASI can provide chutes, hoppers, bins and dust collection systems. Our engineering and project management teams work with our customers to design systems that meet their technical specifications and throughput requirements in a safe and cost effective manner. Belt conveyors are the preferred option to transport bulk material due to their ability to transport a large variety of materials from point to point and through processing. They can handle material that varies by size and composition, with belt widths ranging from 12″ to 200″. Also called steel belts or pan conveyors. Used where severe loading, impact, and abrasion resistance is required. Belt feeders can run between 5 and 150 feet per minute, with belt widths ranging from 12 to 200 inches. Buckets attached to belts or chains based on a standardized design format to lift material vertically. 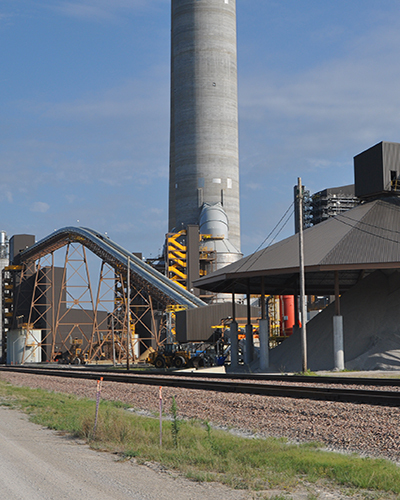 Bucket elevators are most commonly used to convey all free-flowing, powdered bulk solids. They can also be designed for fragile materials to minimize product damage. Another use is to handle light fluffy materials where aeration of the product must be avoided. ASI’s fixed or telescopic chutes can be assembled in our shop into the most complete components possible to reduce field work, which helps improve the systems. overall manufacturing and installation quality, as well as reducing installation time on the schedule. ASI diverter gates can also be fully shop assembled and tested for the same reasons we assemble chutes. Discrete Element Modeling (DEM) Chutes are used to reduce dust, increase belt life, increase production capacities, and reduce equipment/liner wear. Using material flow software, we can design chutes to meet your needs by modeling a wide range of material types, sizes, flow rates, and moisture content. Drag conveyors are designed to move material by means of enclosed chain flights dragging material along round or flat bottoms with horizontal, inclined or S-shaped profiles. Working with dust collection or suppression manufactures, ASI can provide a dust-management system for your material handling needs. ASI can provide the latest in active or passive dust collection systems. As a turn-key system provider, we can design, manufacture and install hoppers, bins and other bulk material system accoutrements. For example, we can ensure chutes are designed and heated to allow for the free flow of bulk material with freezing tendencies, such as Powder River Basin (PRB) coal. Our engineering team also works with our customers to design hoppers that meet your through-put requirements and grizzlies that work in conjunction with other material delivery systems such as train cars, dump trucks and bulldozers. Conveying equipment and systems designed for moving of solids suspended in, or forced by a gas stream, through horizontal and vertical pipes. Including vertical lifts and mixing units. 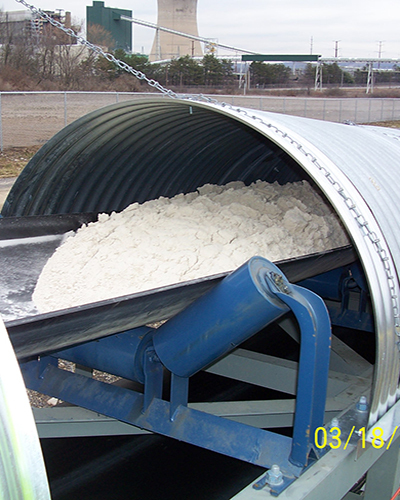 Bulk material handling challenges are not a problem with screw conveyor augers. Virtually any material can be delivered with the right screw conveyor system. Materials conveyed can be abrasive, wet or dry, corrosive, sticky or viscous, light or heavy, hot or cold. Stacker and reclaim conveyors are available in a number of configurations and are often used to actively manage storage piles. This system typically contains belt conveyors, trippers, feeders and chutes. 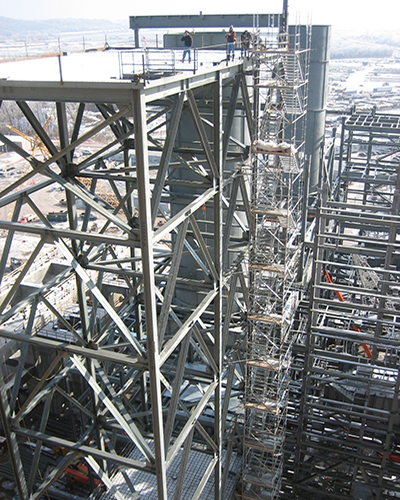 Discharge chutes on stacker conveyors may be telescopic to reduce dusting. Trippers are used to discharge bulk material from the belt conveyor. Trippers can be stationary or movable. Stationary trippers are used when the discharge needs to occur in the same place. Movable trippers are most appropriately used to load large stockpiles or bunkers to spread the material over a larger area than can be accommodated by a stationary tripper. Movable trippers have a frame mounted on flanged wheels, which engage rails parallel to the belt conveyor. Conveying machines that transport material using an oscillating or vibrating motion. Used where severe loading, impact, and abrasion resistance is required. Washdown systems are an effective means of housekeeping to keep your facility in compliance with the new National Emphasis Program (NEP) on combustible dust. These systems are custom designed to suit your needs, from a manual operation to a fully automatic system. There is rarely a single solution when it comes to dust mitigation. That is why Automatic Systems, Inc. uses a balanced approach to solving your dust control needs. We believe that the right combination of DEM (Discrete Element Modeling) chutes, washdown systems, dust collection, and/or wet suppression will keep you in compliance. Automatic Systems, Inc. will customize a washdown system to meet your needs. Each system is designed to optimize your water usage and save clean-up time to keep your facility in compliance with OSHA and NFPA 654 guidelines.